With virtually no progress in Rohingya repatriation, an international expert says the likelihood of a repatriation deal implementation signed on November 23 last year is “slim to none,” and the signing of such a deal was a “mistake”. “The deal, as it stands now, is inadequate and the likelihood of its implementation is slim to none. Therefore, it was a mistake to sign it,” said Ali Riaz, a distinguished professor at Illinois State University, USA. He said the problems include the contents of the agreement, the process through which the deal was reached, the absence of mechanisms of implementation, and lack of involvement of international bodies. 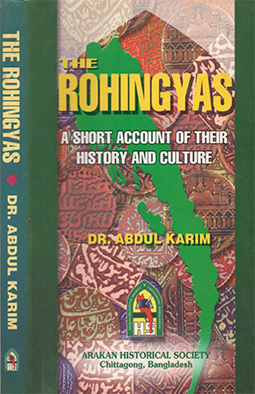 Director of Centre for Genocide Studies at Dhaka University, Prof Imtiaz Ahmed, said Bangladesh currently has a Rohingya population which is far more than Bhutan’s entire population. Bhutan has around 800,000 people whereas Bangladesh had to give shelter to some 1.2 million Rohingyas. On Thursday, Prime Minister Sheikh Hasina said that although Bangladesh and Myanmar have been making various efforts, including the signing of a deal to repatriate over a million Rohingyas from Bangladesh, there has been no virtual progress in this regard so far. Prof Riaz, a Bangladeshi-American political scientist and writer, said many had underscored the importance of the elements mentioned above, even before any negotiations started, but unfortunately those voices were “ignored”. The government is likely to sign a memorandum of understanding (MoU) with the Office of the United Nations High Commissioner for Refugees (UNHCR) on April 13, a diplomatic source said. 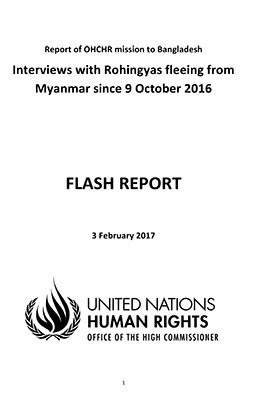 UNHCR teams, if the MoU is signed, will interview prospective returnees to determine if their decision to return to Myanmar was voluntary with support from the Bangladesh authorities. Responding to a question on the involvement of third parties in the repatriation process, Prof Riaz said the recent involvements which he has referred to, should have been from the beginning, particularly at the drafting stage of the deals. “It’s better late than never. But now it largely depends on how much Myanmar will allow the UNHCR to play a role. If the involvements of these organisations were a part of the deals, by now we would have seen positive movement,” he said. Bangladesh and Myanmar signed the repatriation agreement on November 23, 2017. On January 16, 2018, Bangladesh and Myanmar signed a document on ‘Physical Arrangement’ which will facilitate the return of Rohingyas to their homeland from Bangladesh. The ‘Physical Arrangement’ stipulates that the repatriation will be completed, preferably within two years from the start of repatriation. “On our part, Bangladesh will continue to work in good faith with Myanmar to help find a comprehensive and durable solution to this protracted humanitarian situation,” said State Minister for Foreign Affairs, M Shahriar Alam. He said, without meaningful changes on the ground, the displaced Rohingya would not regain the confidence to opt for voluntary return. “They deserve the world’s sustained engagement to create a situation conducive to their voluntary, safe, and dignified return to Rakhine State as soon as possible,” said the State Minister for Foreign Affairs. Meanwhile, Myanmar is soon sending its Social Welfare, Relief, and Resettlement Minister, Win Myat Aye, to visit Rohingya camps in Cox’s Bazar district. This will be the first such visit by any Myanmar minister to the largest-ever refugee camps, where some 700,000 Rohingyas have taken shelter since last August following an army crackdown in Rakhine. The United Nations has likened it to ethnic cleansing. Minister Win Myat Aye is scheduled to arrive here on April 11 and will visit Rohingya camps on April 12, a Foreign Ministry source said, without elaborating his programme. 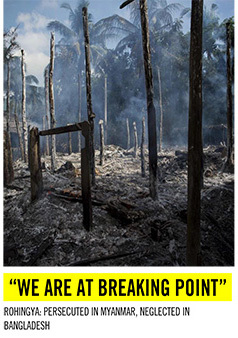 Though there have been high-level visits from Myanmar, including ministers, none of them visited the Rohingya camps. As part of the repatriation process, the government will soon send the second list of up to 10,000 names of Rohingyas to Myanmar. Bangladesh has already handed over a list of 1,673 Rohingya families (8,032 individuals) to Myanmar to start the first phase of repatriation of displaced people to their homeland in Rakhine, but there is no sign of their repatriation yet.